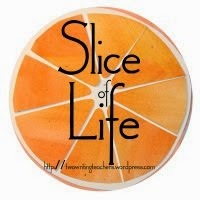 I'm slicing with the Two Writing Teachers community for Day Six of Thirty-One of the Slice of Life Challenge in March. 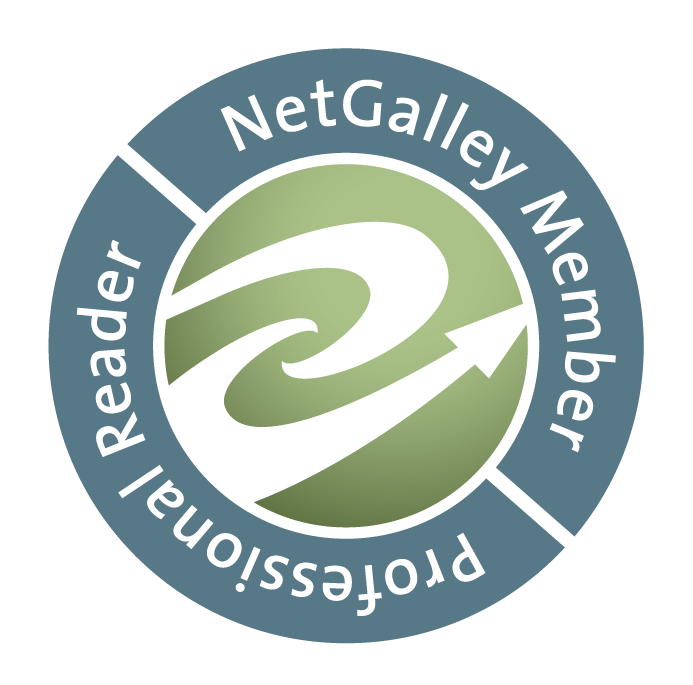 Thank you Stacey, Tara, Anna, Betsy, Dana, Kathleen, Beth, and Deb. This is a Sunday slice about a favorite food that I don't eat anymore, but sometimes I wish I did. I have not eaten a lot of donuts in my life, but there have been times that I liked them a lot. I was a teacher who brought donuts for her class once in a while, gathering cheers! For some reason, I've stopped the habit, and also acquired a new one, just not as often. Do you like donuts, and from where? 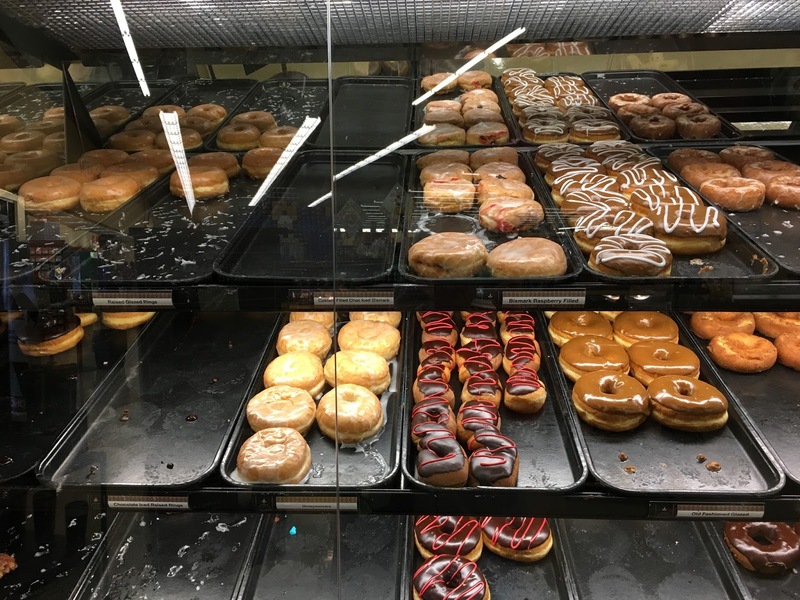 As for well-known places, we do have Krispy Kreme in Denver, though some have closed; Dunkin Donuts has recently appeared from the east, and the very popular VooDoo Donuts moved in a few years ago, still gathers lines out the door. It is quite an incredible place, always with a wait, but still, they are creative: froot loops or bacon on top-sure. Huge double-sized ones-sure. I've been once, to take my brother and family. Yes, we took a picture, and yes, put it on Facebook. People were jealous, especially because where he lives there is no VooDoo. All the groceries have their own bakery, and there are a few local favorites. Here's an article from a local newspaper, Westword, praising the ten top places, including LaMar's, which some friends adore. Do you have a favorite place in your town or city? My quick slice of pure cake or fried delights we call donuts, or are they doughnuts, with or without icing, sprinkles, jelly or creme filled is this. I haven't had one in a long time. I am now in love with scones, so have one from Starbucks sometime on the weekend, my treat of the week. I also find them at a favorite local bakery. However, this time, for all of you who still love the other, I stopped at a Starbucks in a Safeway today for my chai and scone, and took a picture of their donut case. They looked good, but I passed right on after snapping the picture. Sweet indeed! I had no idea Voodoo wasn't strictly a Portland thing. I've only been once, with students after visiting Powell's Books, and one sweet little 7th grader accidentally got the one shaped like a certain male organ. "Cream filled!" he declared in horror, to the mass amusement of his classmates. I've never been a huge donut fan, but recently have discovered that the cafe at my library not only sells 15 donut holes for $1.50, but that the bag of donut holes they hand you usually includes more like 25 of them. So hard to pass up! Voodoo is here and very well liked. Your "deal" at the library cafe sounds very good. Thanks, Wendy. Yes, I should have mentioned that not only did I take them in to school sometimes, others did to, to the teacher's workroom! That's a place to skip-too many snacks! Thanks, Kendra! Our local grocery store use to make peanut butter iced cake donuts. They would then dip them in colored sprinkles. Of course, I haven't met many donuts I haven't liked. Wow, the sugary creation know no bounds! I'm glad to hear from you, will look for a slice! When I was pregnant, I craved donuts, but since then, they have been easy to pass. However, a warm Krispy Kreme is hard to pass up, but then I don't go there, so I can pass them. We have a place called Hurts Donuts, haven't been but I think they are like the Voodoo shop. Scones are a bit dry for me. Not really a sweet roll eater, guess that's good considering how much I like other things. My husband thought scones too dry too, but I like that they are not so sweet. Maybe I'm losing my sweet tooth? Even my grocery is showing up with donuts topped with things like froot loops. Guess Voodoo is becoming a recent popular model! Scones are my weakness. The local French restaurant, Chat Noir, makes the most delicious scones that my family adores. A pot of tea and scones sends me into a delightful mood. While I like doughnuts, Linda, there are way too sinful to be addicted to. Thanks for the delightful treat this morning. You're welcome, Carol, thought it was time to sweeten our mood to start the week. Love hearing that you enjoy scones, too! OK, so unfair! Where I live...I can't get donuts! And, this is the second slice I've read today that was about donuts. Man, oh man...now I'm counting down the days until I'm back in Texas (4 more long months!) and can sink my teeth into a hot off the rack Shipley's glazed donut. There really is nothing better. Ever. Now I'm hungry for sweets. I'll have to scrounge up something. Oh, so sorry, Aggie. I wrote on Sunday so that those who are tempted could run right out. You may have to create something at home! I love hearing about everyone's favorite places, though. Ahhh, donuts. They remind me of teen-aged sleepovers and Christmas parties with hot chocolate. I don't often have them either but just this week our son brought home a dozen to help us all get through moving day into his new house. They did the trick. Thanks for sharing about your love for this sweet treat, and for evoking sweet memories of my own. Every once in a while, nothing better. Sounds as if your moving day went well. Donuts are not common in Estonia. I tried one long time ago. I remember the softness and sweetness. I imagine you have delicious pastries, Terje, better than our donuts! I wonder why/how they are different, maybe so, so fresh? Hate to make you travel for a donut, but enjoy if you do! Yum! But I rarely allow myself that indulgence. Our Sunday thing is meeting the family for brunch at a local restaurant (where I more than make up for lack of donuts with french toast, cinnamon rolls, fruit crepes, etc.!) and enjoy the food and each other. Happy day to you! I understand, I'm a big French Toast fan, probably the same sugar as a donut. But that list sounds good, Jane. Oh there's nothing like a good donut Linda! But like you, it's a habit I choose not to partake in . . .unfortunately! I know, I've given up my earlier wayward ways. When I see the number of calories in any of these treats in the Starbucks bakery cases I am too horrified to order them. Which is a good thing because I don't need more calories. But my husband does bring home the occasional freshly backed apple turnover which I find irresistible and choose not to find out how many calories it contains! I admire your resolve, Barbara. The turnover does sound yummy, so once in while, why not? It's those small out-of-the-way places we rarely get back to that stay in our memories. They sound very good, Tara. In South Louisiana during Mardi Gras, donut shops make King Cakes. So hard to resist! I've heard of them, but of course never had one. And then there are the beignets! They really do melt in one's mouth, don't they? Fun to hear about, Jennifer. I love donuts. I just had mini-donuts, cinnamon sugar from a food cart yesterday. So light and fresh. I also loved the scones that Starbucks use to have with maple frosting. I am not a fan of Voodoo donuts. Fun to hear about your favorites, Jone, and about VooDoo. I've only been the one time, but I liked the one I had. Their creations are certainly different. I don't remember the maple scones. Here in Ontario we have Tim Hortons. 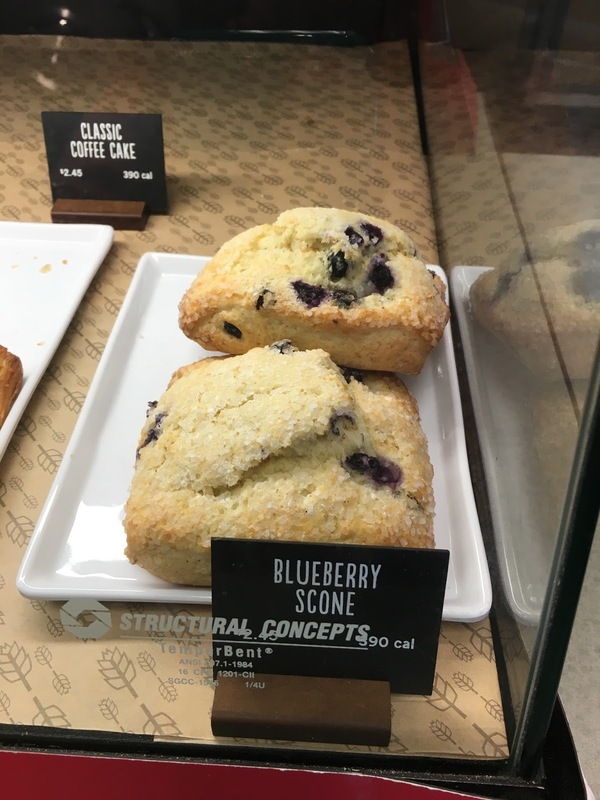 I don't eat donuts often - usually get a blueberry muffin or scone. You're making me hungry for one tho! It's been fun today to hear about shops in other places. I'll have to look online to see what they look like! Jone, above, said the same thing, Elizabeth. I guess tastes change, and I've left my "pink donut" time behind. Fun to hear about your daughter. #SOL16 - 24/31 Blizzard - Yes, It's Spring! #SOL16 - 15/31 - If It's Friday. . .
#SOL16 - 13/31 - Dreams Come True? 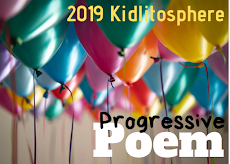 #SOL16 - 11/31 - And Poetry Friday - Spring?